Everyday Shooter is an album of games exploring the expressive power of abstract shooters. Dissolute sounds of destruction are replaced with guitar riffs harmonizing over an all-guitar soundtrack, while modulating shapes celebrate the flowing beauty of geometry. Play through different levels each with a completely unique musical, graphical, and gameplay style. 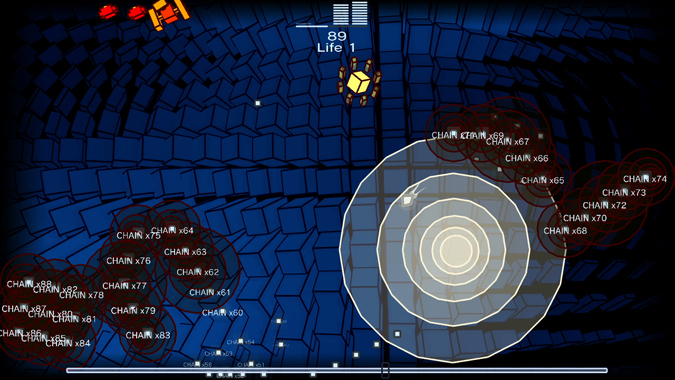 Shoot to trigger musical sounds and riffs that combine to form the final soundscape of the game. Use points earned in the game to unlock extra lives, shuffle mode, and different visual filters. o Graphics: OpenGL compatible graphics card. This game is SERIOUSLY addictive. It took 40 queries to generate this page. Your waiting query time was 0.637 seconds.